Last edited by g4qber on Tue, 26 Nov 2013, 03:05, edited 1 time in total. Is Blade back? It appears so. Tesla won't be happy about that. Also, I'm amused by the first row in that table. Apparently the Blade vehicles have a value of "439" for "Unknown". That's much better than the I-MiEV's "n/a" and Leaf's "unknown" value for "Unknown". 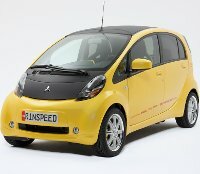 The Blade gives us 439 arbitrary units of something that we wouldn't get in the Mitsubishi or the Leaf! It appears that the cabin air conditioning is vented to the batteries - but I'm not totally sure. They also speak of running the aircon when fast charging in later models. Last edited by Hippie403 on Fri, 23 Aug 2013, 11:09, edited 1 time in total. Stripped down battery pack cover showing cooling. I'm guessing that this is a Fukushima pack. What a waste. And there must have been hundreds of cars, not just i-MiEVs. model S seems to be missing. Last edited by g4qber on Wed, 25 Dec 2013, 05:15, edited 1 time in total.